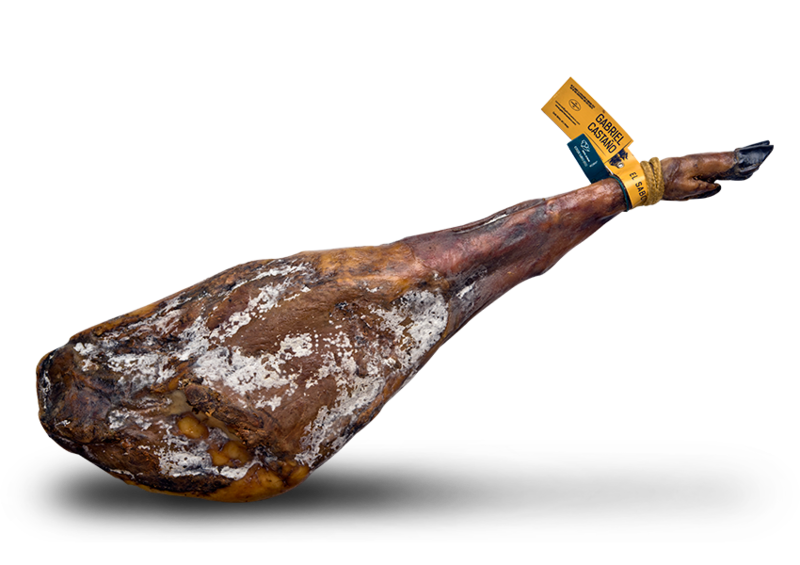 From Jabugo, Huelva. 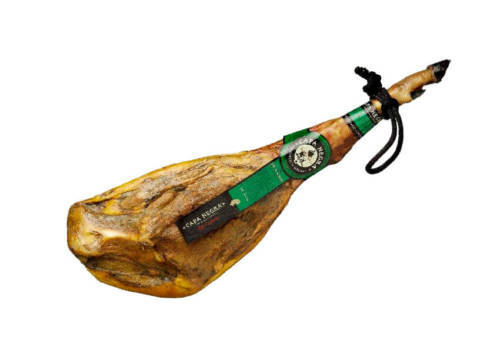 It is made from 100% Iberian pigs fed on acorns during the mast-feeding season. 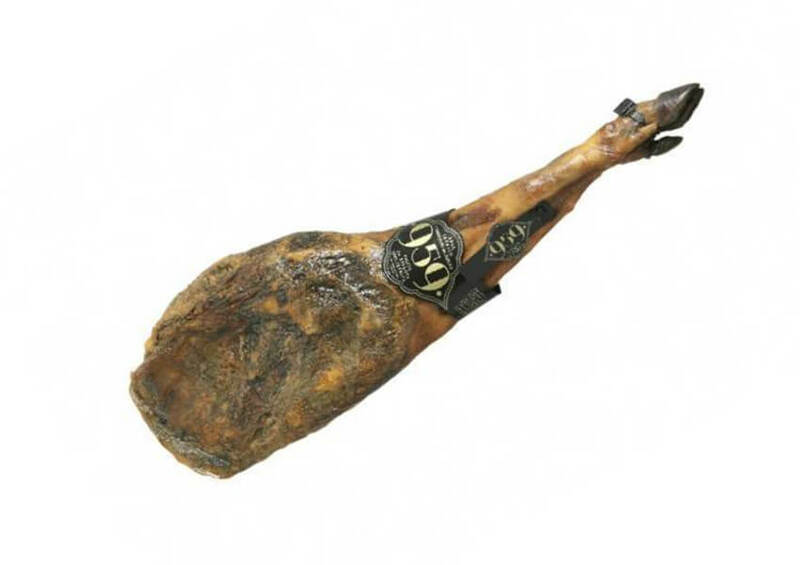 From Jabugo, Huelva. 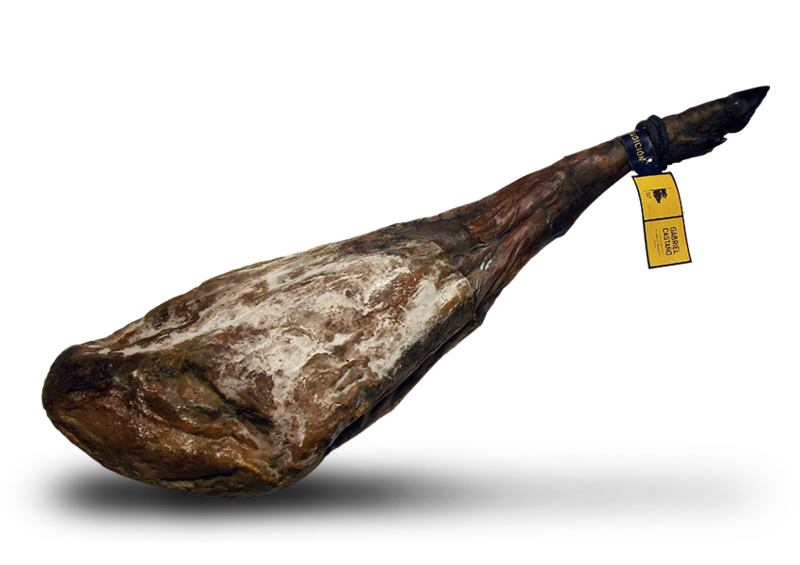 It is made from 100% Iberian pigs fed on acorns during the mast-feeding season. Pigs are raised free-range in the meadows of the Huelva Mountains. The combination of a natural diet and the free roaming of the animal in an idyllic environment result in a distinctive taste. 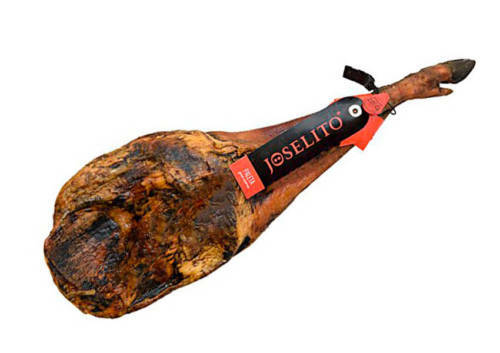 Ingredients: Pure Iberian ham shoulder, sea salt, sugar, acidity regulator E331, antioxidant E301 and preservatives.